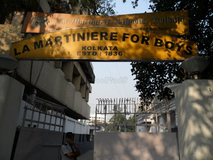 Find below the list of top schools in Malikpur - Kolkata with phone number, address, 360° School tours, 2018-19 Admission forms & Fees, photos, facilities & more. Purwanchal Vidyamandir is located in Malikpur, Kolkata. It was established in 1998. This school follows the ICSE board. The school has English medium. 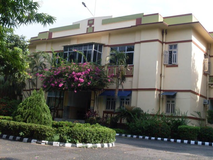 HOLY Cross School, a minority institution under Article 30 of Indian constitution was established in 1994 and is administered by the Sisters of the Cross of Chavanod, a registered charitable society. The school is under the religious jurisdiction of Catholic Bishop of Baruipur. The congregation of the Sisters of the Cross of Chavanod was founded by Mother Claudine Echernier and Father Peter Mermier in 1838 at Chavanod in France, in the 19th Century. As a result of the French Revolution , ignorance, misery and poverty prevailed. The deplorable situation of the young girls touched the heart of Mother Claudine Echernier. Strengthened by the love of christ who gave his life for salvation of all and inspired buy the courage of Mary at the foot of the Cross, Mother Caludine involved herself in eradicating ignorance and misery. With the Support of Fr. Peter Mermier, Mother started this congregation, dedicated to serve the needy and to educate the youth to transform the society. OUR LADY QUEEN OF THE MISSIONS SCHOOL in Kolkata was started on 1st August 1946 with 5 students and today it has grown into a full-fledged I.C.S.E & I.S.C School with another branch at Salt Lake forming the destiny of more than 2000 girls of the city.In 1968 we also started a free school for the less privileged girls who would otherwise never have had the opportunity to go to any school. We offer education from Nursery class to VIII. 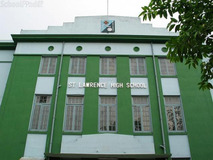 St Clare School is located in Netajinagar, Kolkata. It was established in 1986. This school follows the ICSE board. The school has English medium. Young Horizons School, founded in 1972, was initiated into the educational arena with the blessings of eminent personalities including Mother Teresa and Father Bruylants S.J. B D M International is located in Garia, Kolkata. It was established in 1966. This school follows the CBSE board. The school has English medium. 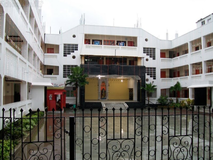 Indus Valley World School is located in Garia, Kolkata. It was established in 2008. This school follows the CBSE board. The school has English medium. 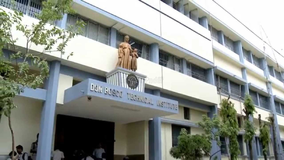 Miranda High School is located in Garia, Kolkata. It was established in 1994. This school follows the CBSE board. The school has English medium. 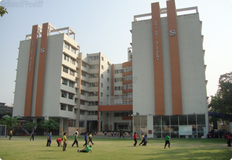 South Pioneer Academy is located in Netajinagar, Kolkata. It was established in 2001. This school follows the CBSE board. The school has English medium. At BDM International it is our endeavour to provide value oriented learning opportunities that cultivate the mind, enrich the lives of our children and prepare them to meet the challenges of tomorrow.We strive to enable the child to grow and develop integrally without losing contact with his soul. We nurture the ambience of the school with greate care.The result is an atomosphere of self-discipline,joyous learning and freedom, freedom which evolves out of awareness, choice and responsibility. You and your child deserve to be looking only at the top schools in Malikpur - Kolkata. We at Sqoolz, have created an all-encompassing list of best schools in Malikpur - Kolkata so that you can pick the one that is most suitable for your needs. Is the location viable? Is the school big enough? What additional facilities do they provide? Find answers to all the important questions with us. You can even take our virtual tour and see for yourself whether or not the school fits your child's needs.